DataGrillen (formerly SQLGrillen) is the biggest free Microsoft Data Platform event in North Germany. Our motto is "Data, Bratwurst and Beer", which describes our event quite well. In 2017 we had ~120 attendees, and ~180 attendees in 2018. The audience is an international mix and covers all aspects of the Microsoft Data Platform. 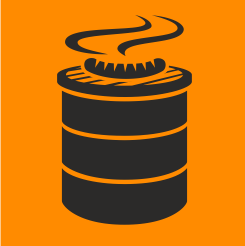 Check out the website for details of previous DataGrillen (SQLGrillen) events and then submit your ideas here! DataGrillen 2019 (formerly SQLGrillen) is the 5th edition of the extremely popular Microsoft Data Platform focused event in Lingen, Germany. We are looking for the best and brightest speakers and topics around the Microsoft Data Platform. Whether you are a DBA working with High Availability solutions or a developer working on the latest and greatest cloud technologies, we want you to submit your ideas for consideration. Like in 2018, this year we have a special "Newcomers" track. This is a track designed to specifically accommodate people new to presenting. Newcomers will be assigned a "mentor" who is an experienced speaker, who will guide you in the process of preparing and delivering your session. For veteran speakers we have Regular Sessions (75 minutes), which are 15 minutes longer than previous years.